Thank you for such a wonderful job you did on my husband's service. As soon as we walked in we were treated so caring. I want to thank all who put on the Christmas Remembrance Service. It was both emotional and comforting. The song that was played was a beautiful touch. Thank you so much for guiding us through the difficult process of planning a funeral. It is most helpful to have an option that allows for so many details to be handled by the funeral director. Also, your continued patience throughout the planning was much appreciated. In addition, please give our thanks to your staff, and especially Craig for his assistance at the burial. Robert, thank you for the way you helped in taking care of my sister at her death - from the gentle and respectful way you removed her body from her home and for the ways you helped us prepare for her burial. Thank you for the work you do and for the caring and compassionate ways in which you do your work. My family and I can't say enough praises for the comfort, caring, and help we received from Anderson's Funeral Home at the time of Stan's passing. Alan Iverson was right here, for us that evening, and for days after. He is such a great guy, so sincere and compassionate, we were honored to have him be right along side of all of us at a difficult time. Anderson's is truly a part of Alexandria's heritage, and we are thankful to have been on the receiving end of their caring family. God bless Alan, and all at Anderson's. My family thanks you for the wonderful, and very meaningful care we received as we said good-bye to Stan, Dad, Grandpa,and also G.G.Bumpa.! He wore many hats in our lives. Alan was so devoted to our every need, and stayed with us to help with everything, throughout the time we were going through those first days, we all love him and are so thankful he was the one that was there for us. What a sincere and caring young man. We are blessed . Thank you, Anderson's. It is so hard to say goodbye, but it helps to have caring people surround you, and that helped us all through a difficult time. God is good. I wanted to send you a thank you from our family and friends for your services. This was a very difficult day for us and you helped to make everything [go] as smooth as possible. Both of you made a difficult period in our lives so much easier with all your help and advice. Thank you for everything you did for all of us and especially your respect and kindness you showed to all of us when we needed help." You did a wonderful job and were helpful to us. For all your care and compassion you give our family - I sincerely thank you! You have been supportive during this time. Thank you all. I just wanted to thank you for the great job you did for mom's funeral. The obituary was very nice and thank you for doing that. Everything just went so well and we were thankful for a nice day as well. I can tell you're a good guy. Your folks should be pleased of you. Thanks again. 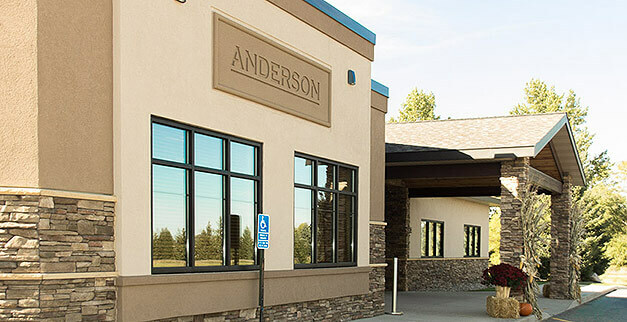 "I was so impressed about how professional and committed the staff at Anderson’s was. Erin helped us with both of my grandparents and she was so amazing. After she had helped us with my grandma, when my grandfather had unexpectedly died, I was relieved to see her show up. 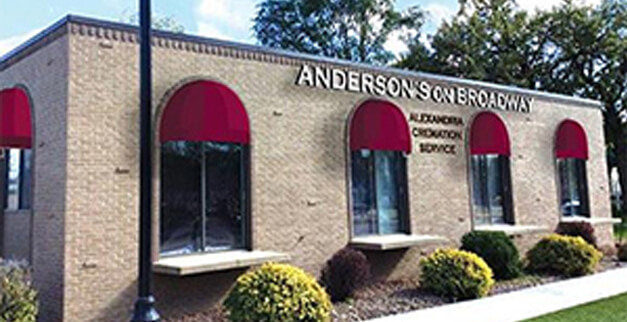 Anderson’s is a wonderful funeral home." Thank you for the excellent personal service that Inez's family received from Anderson's during the entire funeral process. You were kind, considerate, professional, and very caring towards the family. "Thanks to you and your staff for your assistance in preparing Carl V's (Butch's) funeral. Everything was perfect and we had many compliments from family and friends on what a nice funeral it was. It was greatly appreciated." Jeff, Deb, and Lisa C.